Located in Downtown Durham, Rise has made a name for itself with unique and flavorful biscuits and doughnuts. Their offerings change daily, but include both savory and sweet, from fried chicken biscuits to maple bacon bars to Cheerwine-flavored donuts. 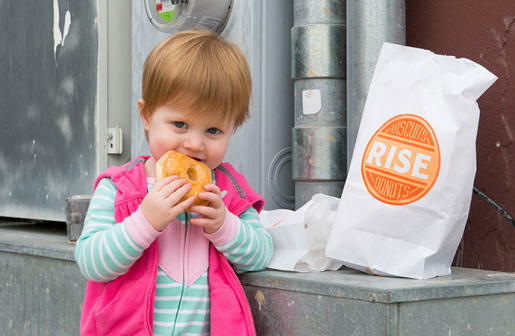 Rise has made such an impression that Food & Wine included the restaurant on a list of the best biscuits in the U.S. Tasting Table is also a fan, saying that they preferred a simple glazed doughnut and that "a chocolate-mousse version...is a worthy indulgence."